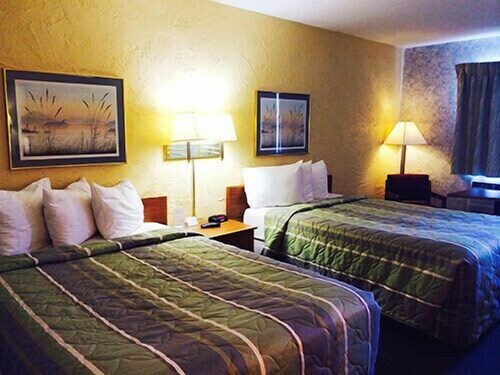 Situated near the airport, this motel is within 9 mi (15 km) of Rock Snow Park, Harley-Davidson Museum, and Wisconsin Center. Marquette University and Riverside Theater are also within 9 mi (15 km). 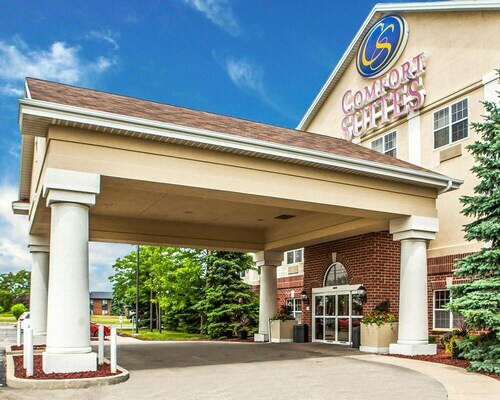 Situated near the airport, this hotel is within 9 mi (15 km) of Rock Snow Park, Harley-Davidson Museum, and Wisconsin Center. Marquette University and Riverside Theater are also within 9 mi (15 km). 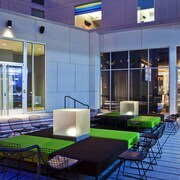 Situated in Milwaukee, this hotel is within a 15-minute walk of Martin Luther King Drive and Fiserv Forum. Wisconsin Center and Milwaukee Public Museum are also within 1 mi (2 km). 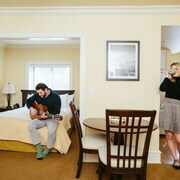 Situated in Kenosha, this hotel is 0.4 mi (0.6 km) from America's Action Territory Family Fun Park and within 6 mi (10 km) of Pleasant Prairie Premium Outlets and Pleasant Prairie RecPlex. Jelly Belly Center and Apple Holler are also within 9 mi (15 km). Situated near the airport, this hotel is within 6 mi (10 km) of Alchemist Theater, Basilica of Saint Josaphat, and Allen-Bradley Company Clock. Harley-Davidson Museum and Wisconsin Center are also within 9 mi (15 km). 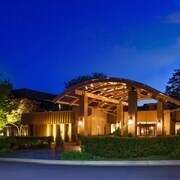 Situated near the airport, this hotel is within 9 mi (15 km) of Alchemist Theater, Harley-Davidson Museum, and Discovery World. Milwaukee Art Museum and Basilica of Saint Josaphat are also within 9 mi (15 km). Milwaukee Airport Station is 26 minutes by foot. Situated near the airport, this hotel is within 6 mi (10 km) of Alchemist Theater, Basilica of Saint Josaphat, and Allen-Bradley Company Clock. Milwaukee Brewing Co. and Clock Shadow Creamery are also within 6 mi (10 km). Milwaukee Airport Station is 26 minutes by foot. 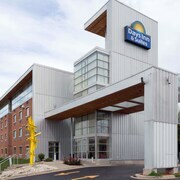 Located in the heart of Oak Creek, this hotel is within 12 mi (20 km) of Milwaukee Public Museum, Milwaukee Area Technical College, and Milwaukee Public Market. Discovery World and Milwaukee Art Museum are also within 12 mi (20 km). 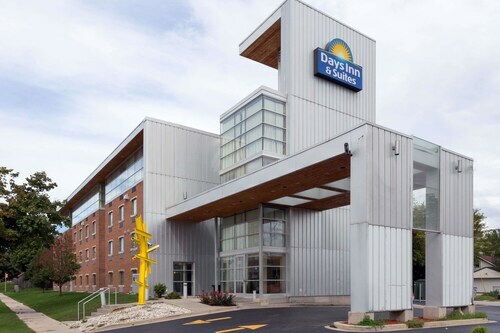 Situated in Milwaukee, this luxury hotel is within 1 mi (2 km) of Marquette University and Harley-Davidson Museum. Fiserv Forum and Henry W. Maier Festival Park are also within 3 mi (5 km). Milwaukee Intermodal Station is 21 minutes by foot. 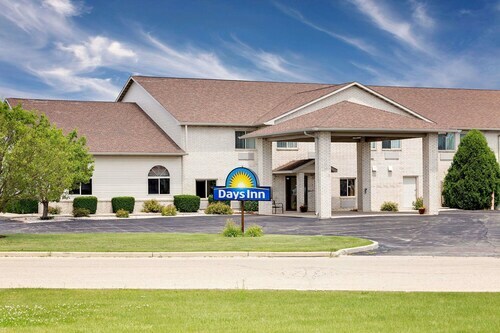 Located in the heart of Milwaukee, this hotel is 1.1 mi (1.7 km) from Miller Park and 3 mi (4.8 km) from The Rave-Eagles Club. Wisconsin Exposition Center and Milwaukee Mile are also within 2 mi (3 km). 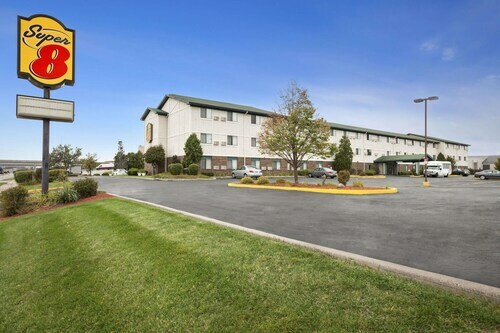 Situated in the suburbs, this hotel is 2.7 mi (4.4 km) from Annunciation Greek Orthodox Church and within 6 mi (10 km) of Mayfair Mall and Harley Davidson Factory. Milwaukee County Zoo and Ray's MTB Indoor Mountain Bike Park are also within 9 mi (15 km). Your Milwaukee journey starts the second you hit the runway at Kenosha Regional Airport (ENW), so make good use of your time in Brew City and book your accommodation in advance with Travelocity. There aren't any hotels right next to the airport. However, the Candlewood Suites Kenosha is just 2 miles (3 kilometers) away, and it offers airport shuttle service. Have a long layover or just want to do something fun before or after your flight? You'll love your time in this gaming fan's utopia. America's Action Territory Family Fun Park is home to a selection of fun and games that'll test your know-how. If you've got time to kill, this place will provide plenty of enjoyment. So what are you waiting for? Arrange your Kenosha Regional Airport hotel right away and let the adventure begin! Paid for room on line. Went to motel and no one was at the desk to check in. Took 20 minutes for anyone to show up. I called the number at the desk to call if the receptionist was not on site 10 times . Not one person picked up the phone . Other customers came in and left while I was calling and waiting for the desk clerk. If I hadn't paid for the room prior I would have gone also; but I didn't have any choice but to stay and keep calling the desk clerk. The room smells of cigarette smoke. Lake Michigan Waterfront Kenosha Retreat For Eight People! !